A special place with unique food recipes and great vibes where you can enjoy exotic world cuisine and brilliant cocktails. 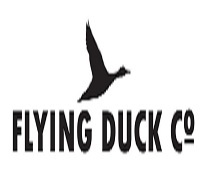 Flying Duck Co. is known for its unique and indegenous recipes, variety of meats and some brilliant vegetarian delicacies too. The brand-new outlet now also serves carefully crafted beverages for that perfect time with your loved ones. Curated 3 course Food menu at Rs 600 Rs. 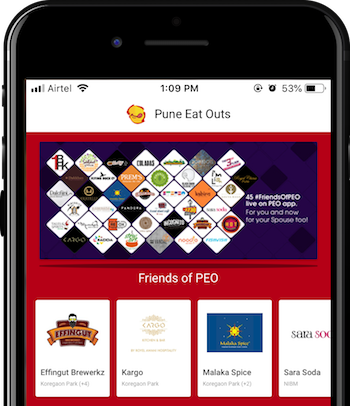 Visit the PEO Privilege App for more details. Flying Duck is, without a doubt, one of my top 3 restaurants in Pune. They have been serving some of the best meat dishes in the city, consistently. The service is friendly, the menu is extensive, and choosing what to eat here will be one of the more difficult decisions you make in a year. A privileged and one-of-a-kind dining experience every time you Eat Out with PEO Privilege Card.